Sometimes it useful to have an overview of all the states of a work item, and how the different states interact wit each other. 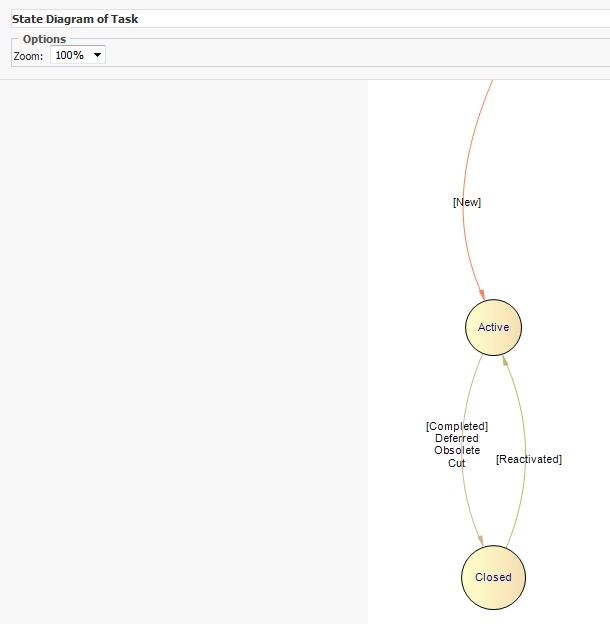 The state transitions and states are defined inside the Work Item Definition. Surely you can export the work item type definition and look at the XML or, for a better experience, open the Work Item Type Definition in the Process Editor. This is all possible but not very user friendly. A better way to do this is use the Web Access Client that comes with TFS. Navigate to your Web Access Client by using the url http://<tfs server name>:8080/tfs/web. you are showing it thru the SharePoint portal not he team web access. 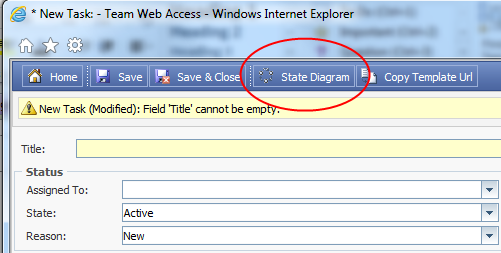 do you know how to view the state diagram thru Team Web Access or thru any other mean but the SharePoint portal?